These cool looking brushed stainless steel rings are also handy bottle openers! 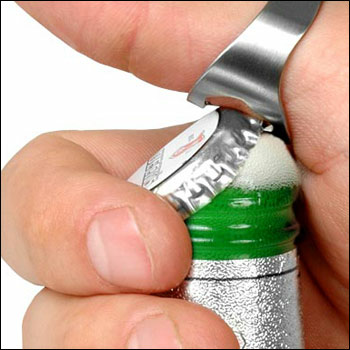 Use it to open bottles of beer and soda. A fun fashion statement! Comes with two in a pack.